The first three digits of Pi (π) is 3.14. Because of that, math lovers celebrate this iconic irrational number every year on March 14 or 3/14. Pi, or π, is the ratio of a circle’s circumference to its diameter. It is an infinitely long and nonrepeating number. In fact, as of the latest calculations, there are 22 trillion digits of pi and counting! From its discovery 4,000 years ago in ancient Babylon up to the present, Pi continues to be vital and relevant to almost all human endeavors. Here are some fun facts about pi. Although it is unknown who discovered the constant ratio between the circumference of a circle and its diameter, pi has been known to human civilization as early as 2,550 BC. The earliest textual evidence of pi (1900 BC) is attributed to both the Babylonians and Egyptians. The first to calculate an accurate estimation of the value of Pi is the mathematician Archimedes of Syracuse. He came up with a very close approximation (between 3.1408 and 3.14285). The Welsh mathematician William Jones was the first to use the Greek letter pi (π) to symbolize the constant ratio. Because pi is an infinite number, we will never be able to determine every single digit of pi. However, the number of decimal places discovered has grown exponentially since ancient times. Before the computer age, D. F. Ferguson performed the most accurate calculation of pi in 1945. He calculated pi up to 620 digits. Calculating the value of pi accelerated in the advent of computers. In 2010, the record for finding the most consecutive decimal places of pi (up to 2.7 trillion digits) is held by Fabrice Bellard. Pi Day was officially recognized by the US Congress in 2009. The official Guinness record for most digits of pi memorized belongs to Rajveer Meena of India. He recited 70,000 digits of pi from memory on March 21, 2015. 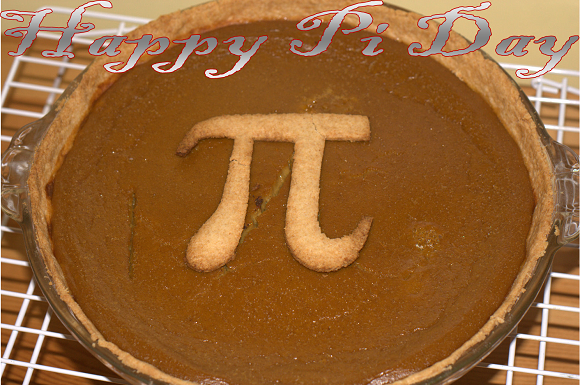 American physicist Larry Shaw invented the holiday “Pi Day”. It was first held on March 14, 1988, at the San Francisco Exploratorium. Check out Printable Learning’s free Pi day activity book for more fun facts about pi as well as several pages of children’s activities including coloring sheets. Previous Previous post: What Happens When a Circuit Is Overloaded?